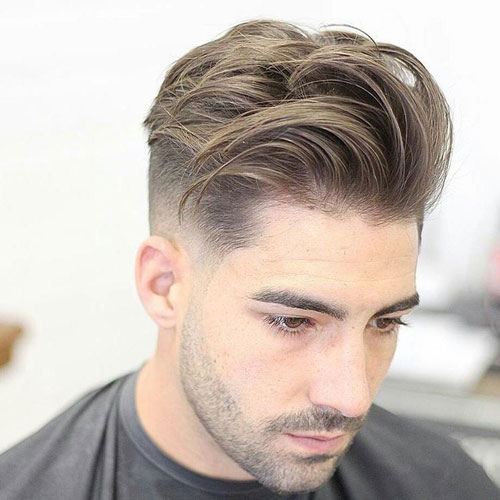 New Years Day is coming soon, would you like to start the holiday with a new hairstyle? At this time of the year, every hairdressing salon shops are full. 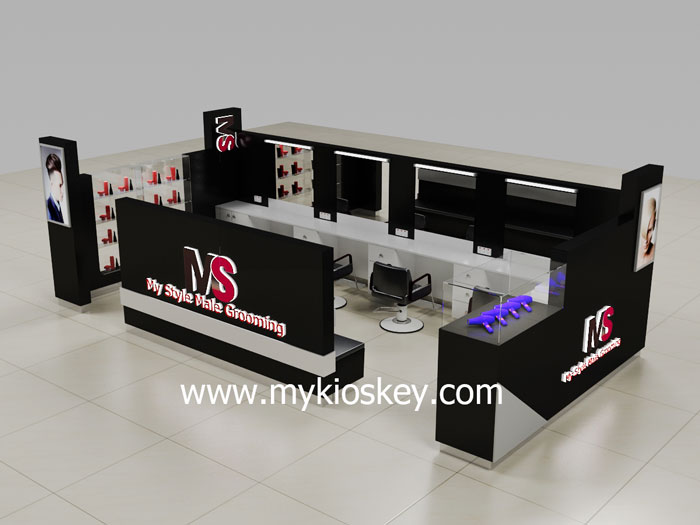 I think it is a good idea for you to start a hairdressing kiosk or salon shop. 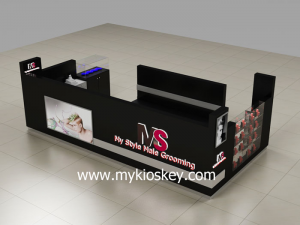 Hope this article can help you to have some ideas about how to start a hairdressing kiosk. The kiosk business is perfect for small entrepreneurs. Typically, they’re located in malls, shopping centers, or similar areas. Often small, flexible and varied, kiosks are some of today’s leading shopping areas for passerby. Small business don’t need lots of budget, everyone have the ability to start. 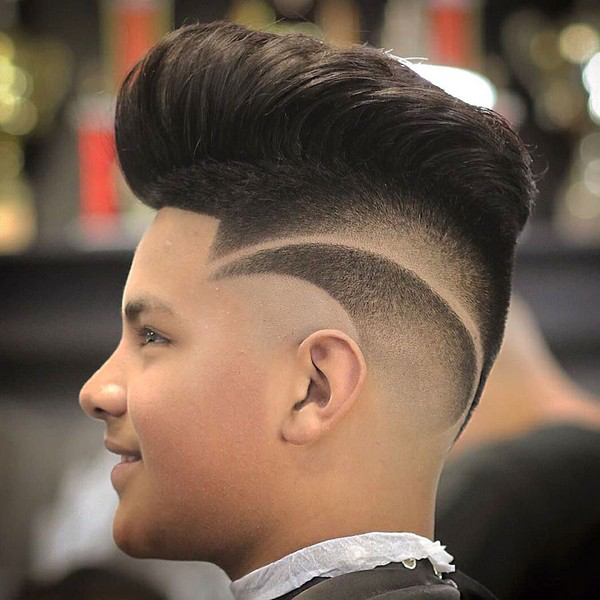 Hairstyles are a major influence on appearance. Whether men and women, both like dress up. It would be a boring society if everyone wore shoes and clothes of the same style and color, had the same hairstyle, so we want to look different. I am sure that if you open a hairdressing kiosk, it will be a great success. 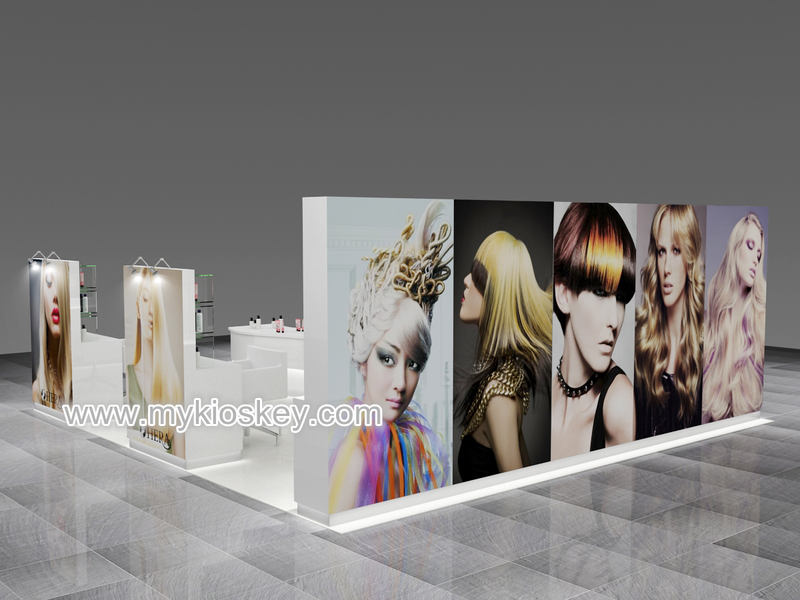 Usually we have some display area to show the hairpiece to customers, three or four seats for you to service customers. 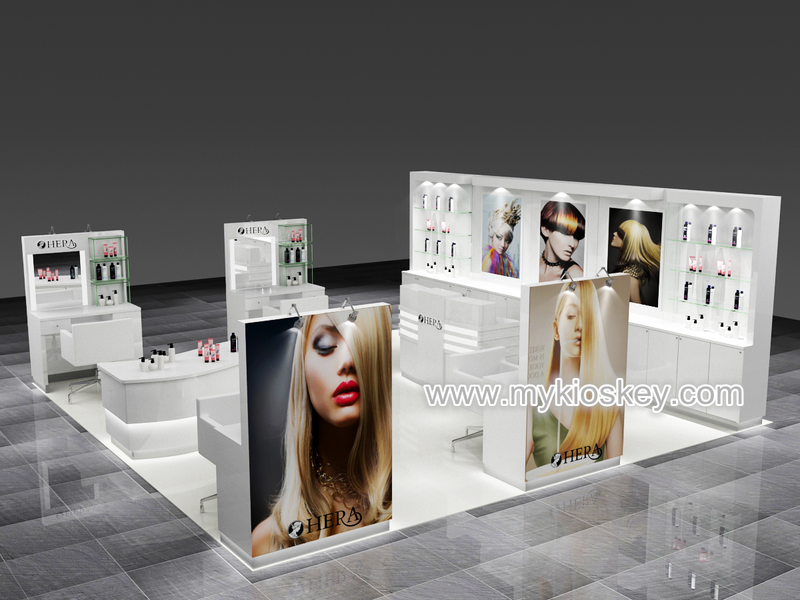 Here I wanna share a large hairdressing kiosk for you, very attractive and useful. 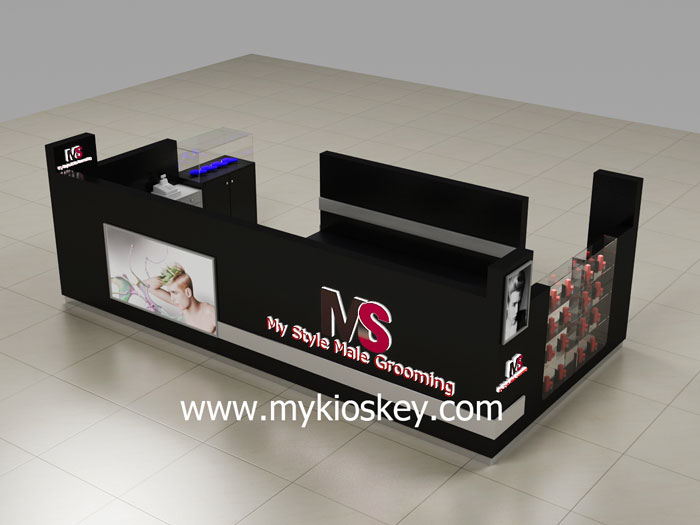 Do you want to have a beautiful hairdressing kiosk like this? Don’t hesitate, contact us for more details. Any ideas about the design and how to start your business please feel free to contact us. Thanks for your time to read, have a nice day! 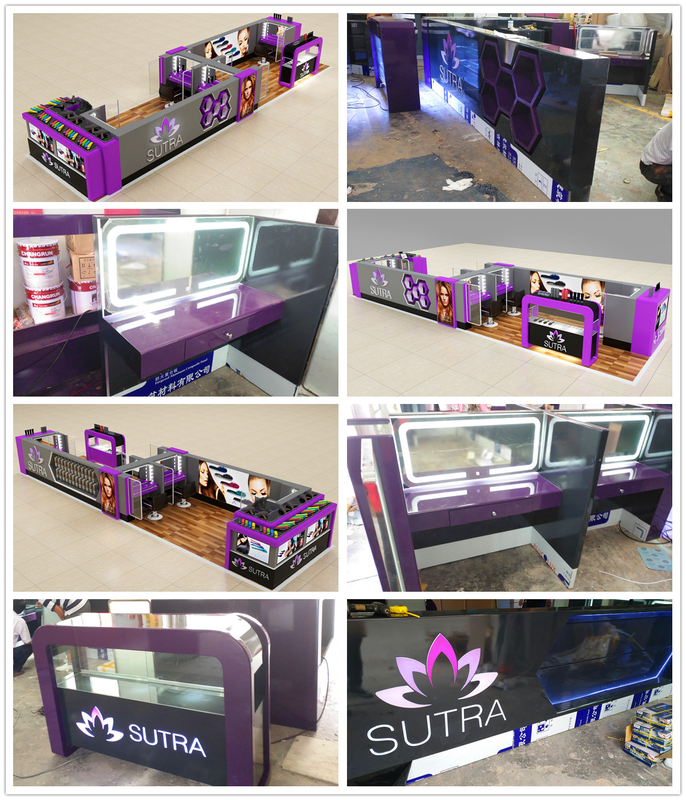 PreviousPrevious post:4X2 outdoor fast food juice bar kiosk design for sale NextNext post:How to start your own cosmetics business?